Flying Bison Brewery 840 Seneca St.
Join Slow Roll Buffalo in celebration of another successful season! 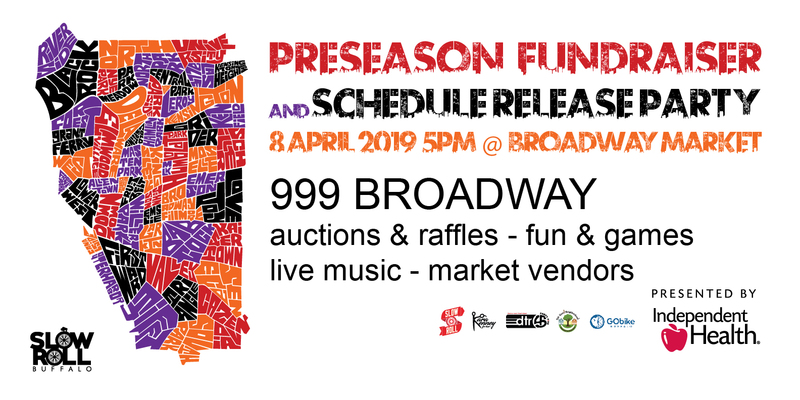 Free entry, auctions & raffles, fun & games, food & drinks with proceeds supporting our mission to connect communities across borders through free guided bike rides for all ages and skill levels. Slow Roll rides year-round, whether snow or rain or shine! Bundle up and join us for our first of three *Snow* Rolls at Lloyd Taco Factory in North Buffalo, where we'll have a 10-mile roundtrip ride plus an afterparty with a full bar and the funkiest tacos in town. 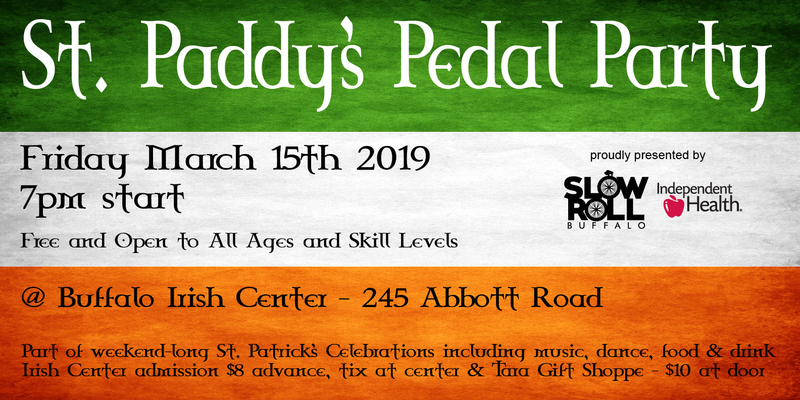 Free and inclusive Friday Pedal Party as part of the Buffalo Irish Center's weekend-long St. Patrick's Day festivities! Our 10-mile roundtrip ride will start at 7pm sharp from the center, which in addition to a full bar and kitchen will have live music from Crikwater, The Brothers Blue and the Reardon and Garvey Band, plus the Clann Na Cara Irish Dancers. Admission to festivities in the center is $8 in advance or $10 at the door - tickets available at the center and Tara Gift Shoppe across the street.